A passionate, highly regarded, experienced and qualified Portfolio, Programme and Project Manager, Enterprise Architect, Service and IT Manager, Technical Consultant and Trainer. 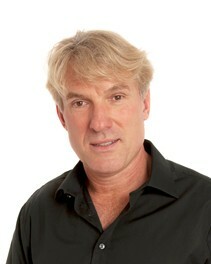 A pragmatic, passionate and experienced trainer, coach, mentor, course author and seasoned practitioner. Has developed and delivered courses on strategy, portfolio, programme, project, change, risk and service management as well as Enterprise Architecture methods such as TOGAF, OEAF and PEAF. Is an APMG certified lead trainer for PRINCE2, MSP, MoP, M_o_R, Change Management, Agile PM, P3O and ITIL. A Microsoft Certified Trainer (MCT), with over 25 years of practical learning and development experience including time spent at CISCO, IBM, Learning Tree and Microsoft. Experience has been gained in the Public, Private and Third Sectors. SC cleared while working with the FCO. A committed team player who has managed training programmes in excess of £10m. Has international experience carrying out successful assignments in France, Germany, Italy, Sweden, Finland, Denmark, Holland, Balkans, Dubai and USA. Currently engaged with the recently announced Civil Service Learning Programme. Simon Harris, PMP is a project management veteran with almost 30 years experience of IT and business change projects. Simon has gained his experience within technically complex, large-scale blue-chip environments across finance and banking, defence, oil & gas, government, and the “big 4” management consultancies. Simon spent 11 years at the London Stock Exchange, where he was well trained in formal methods for data-processing. During that time he became an early adopter of Unix based technologies in a commercial environment. Since leaving the Stock Exchange in 1990 Simon has run a consultancy business mixing training, mentoring and consulting assignments. Simon’s consulting assignments have included set-up of programme offices for £100m programmes, Rationalisation of Mid-Range Service Delivery in a retail bank, Reorganisation of the management structures in a 6bn usd GE-Capital subsidiary, implementing an IT Governance framework using ISACA’s CobiT™ Vn 4.1 for a UN agency and subsequently a review of the governance of its core information dissemination practices. Simon’s PM training covers the full spectrum of project management disciplines, tools and techniques from establishing an initial basic structured approach up to topics such as Leading Complex Projects, and Performing Project Recovery. Simon’s training activities include a period as a PRINCE2™ examiner (and current authorisation to train in and administer the exams) Simon is PMP qualified and delivers APM exam training programmes. Leopoldo Innecco is an accomplished project, programme and change management professional, specialised in multi-cultural business transformation and corporate strategy projects, who is used to performing the role as the “bridge” between IT and the business with a deft ability to manage highly skilled cross functional teams. With over 15 years international consulting experience, Leopoldo is a results oriented person, expert on stakeholder management at CxO and Board level, with a proven track in business change and transformation, software and service delivery and outsourcing and performance improvement. Leopoldo is an energetic coach and enthusiastic people manager with strong analytical and innovative problem-solving skills. With strong inter-personal relationship building skills, collaborative leadership and a high sense of responsibility and commitment, he injects a powerful culture for success into projects. This is derived from the diverse nature of his career and from comprehensive operational, strategic, business and project management knowledge and experience. Leopoldo has managed and contributed to the success of projects and programmes in SMEs to blue chips enforcing standardization, consistency and adoption of best practices and where appropriate growing and improving project management capability, scope and efficiency. Leopoldo is a Prince2, MSP, M_o_R, Agile PM and Change Management Practitioner, fluent in English, Portuguese and Spanish. A strategic thinker, experienced with business units and P&L management, development of project management expertise with an entrepreneurial “can do” attitude, passionate about PM methodologies as well as customer service quality oriented and commercially astute. Leo is the author of the PICARO Business Transformation Lifecycle Framework, currently in development, which focuses on driving change through expectation management and informed decision making within business transformation and organisational design projects.